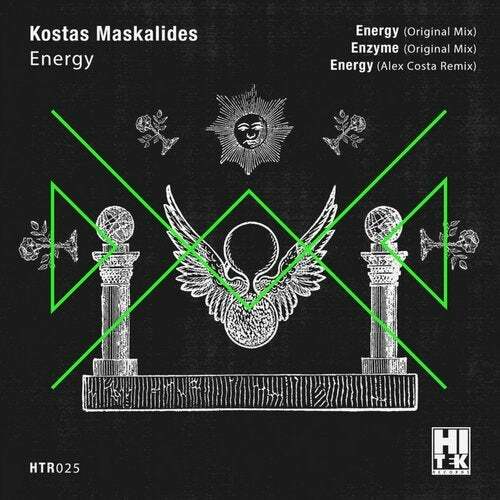 Passionate as a true Greek he is, the ultimate techno warrior Kostas Maskalides is definitely one of the fastest-growing techno artists of our era with regular releases at the mightiest labels around. It was about time to offer one of his powerful dancefloor-lifter packages to Canada's greatest, Hi Tek Records. The day has come and he delivers his overly energetic -as its own name reveals- ''Energy EP'' featuring two top-notch originals and a remix by Italian maestro Alex Costa. Techno is energy and energy is techno with this package, proving it once again!